Heads up Atlantans, Marvel is taking over your city one superhero at a time. Avengers: Infinity War kicked off filming on Monday and now, close on its heels, Ryan Coogler has commenced production on Black Panther. Chadwick Boseman returns as the king, superhero and spiritual figure T’Challa, following him back to his homeland of Wakanda in the wake of Captain America: Civil War. This marks the first time that Marvel Studios has had to films underway at Atlanta’s Pinewood studios, and marks a noticeable uptick in the studio’s output. Starting this year, we’re getting three Marvel films a year (at least for the foreseeable future). No doubt T’Challa will be in Infinity War, and given the events of Civil War, it seems likely we’ll see Bucky and Cap pop up in Black Panther in some capacity, so the dual track filming schedules likely provide a convenient opportunity to have the shared cast members in the same place at the same time. 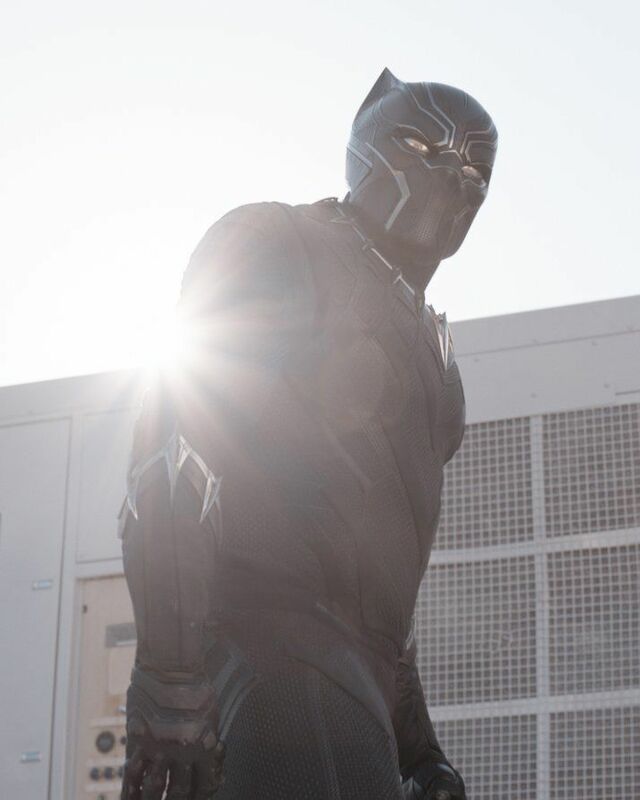 Per the press release, Black Panther will film in Atlanta, and unexpectedly, South Korea. The official announcement also revealed the first synopsis for the film, teasing the return of an “old enemy”. There are a whole lot of actors playing various levels of villains and scumbags in this movie, so it’s not totally clear which enemy that could be, but Michael B. Jordan‘s Killmonger, Black Panther’s longtime comic book nemesis seems like a good bet. Black Panther also stars Sterling K. Brown as N’Jobu, a figure from T’Challa’s past; Lupita Nyong’o as the Wakandan warrior, Nakia; Angela Bassett as as T’Challa’s mother, Romonda; and Winston Duke as a key villain, M’Baku, a.k.a. “Man-Ape”. Other cast members include Forest Whitaker as Zuri, an elder statesman of Wakanda; Daniel Kaluuya as W’Kabi, a loyal friend to T’Challa; and the return of Andy Serkis as Ulysses Claw and Martin Freeman as Everett K. Ross, with Danai Gurira and Florence Kasumba as members of T’Challa’s personal guard, the Dora Milaje. Additional cast members include Letitia Wright and John Kani.